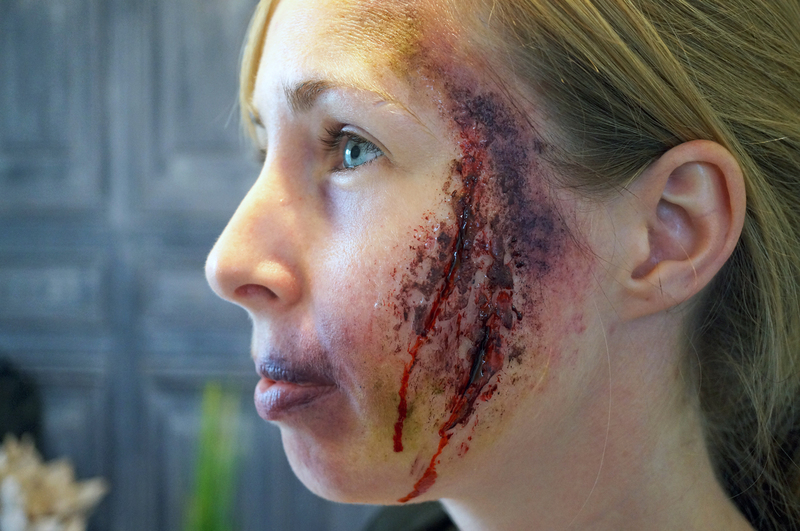 After popping into the P.A.M professional makeup store last week, and seeing the most amazing – and fairly straightforward looking Halloween tutorial. I thought I’d give it a go myself! Ok so to start with, you need to prep the skin by removing all makeup from the area you’re going to work on. You then need to mix the two parts (A and B) of the 3rd Degree product in a bowl to create the bumpy and uneven base for the wounds. This silicone is fantastic for creating a multitude of 3D effects. 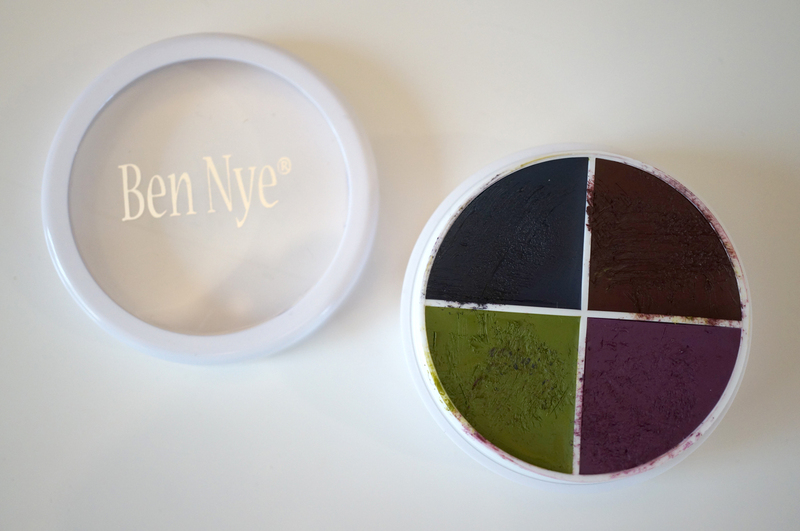 You just mix one part of each tub on a separate palette, and you have up to five minutes to apply and manipulate the product on the skin until the formula thickens up and stiffens, and eventually sets in place. You can really play around with the silicone to create deep cuts, it’s also easy to build up by letting one layer dry, then mixing up another batch and applying more on top. I decided to play it fairly safe for my first attempt and just go with your bog standard flesh wounds on the cheek. I ended up applying two layers of silicone, and I used a blunt knife to create a line in the centre where each cut would be on the wounds. 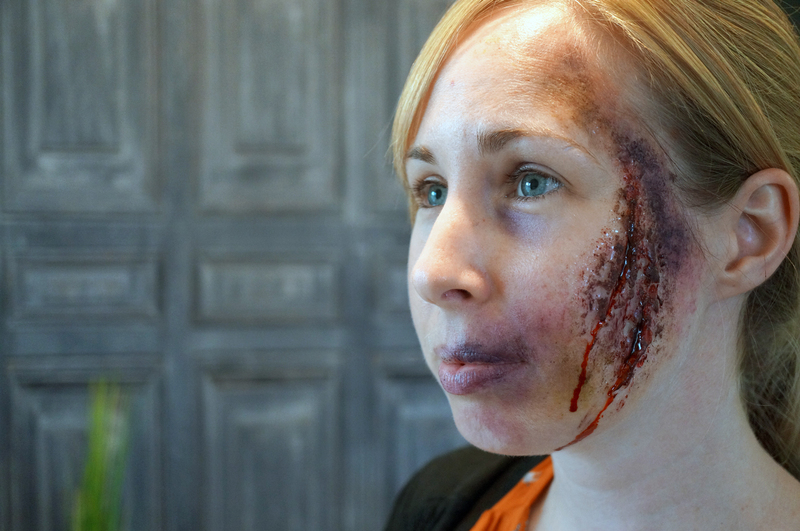 After waiting for the silicone to dry I grabbed the Ben Nye Cuts and Bruises FX Wheel to discolour the skin and make it look nice and dead! It’s at this point I realised I needed a stippling sponge – which I don’t have. So I cut the corner off a dish washing sponge and it worked fine! I used the rough side to lightly dab on colours from the FX Wheel to add bruising effects to the face. 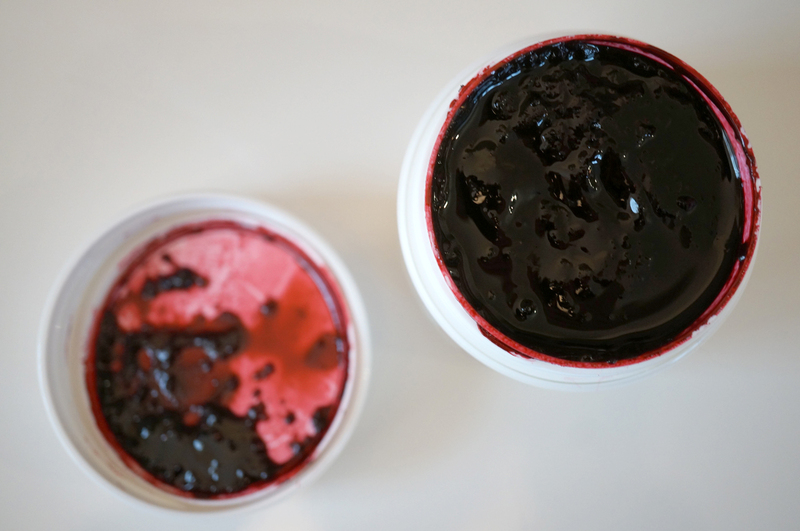 I then grabbed the tub of Kryolan Fresh Scratch, which is perfect for creating the look of old, clotted blood, as it’s a really deep red shade. It also has a really thick, gloopy consistency which is easy to work with. I applied this with a thin brush to the inside of the wounds. I then added some ‘fresh’ looking blood from the Bloody Marvellous Test Tube and let it drip down the face a bit for some added realism. So here you go! I was pretty pleased with this for a first attempt! The finished effect isn’t perfect by any means, but I think it’s a good start, and it was actually really easy to do. 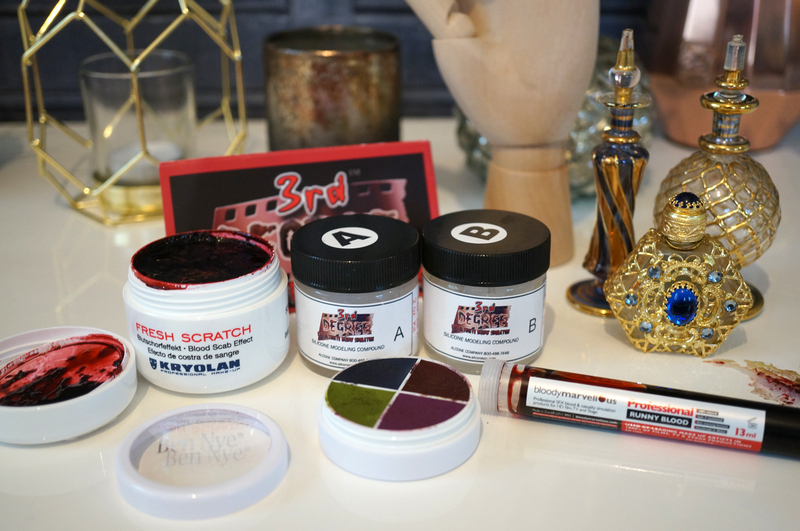 If you’re a complete theatrical makeup novice like me I’d definitely recommend picking up these products as a good starting point. I just wanted to show you what the silicone looks like after it’s been pulled off! I love that it dries like PVA glue, so you can just peel it off – so satisfying! Also, my model Sam has pretty sensitive skin so we were both pleased to see that she had no adverse effects to the silicone, blood or makeup. Big thanks to my friend Sam for being my model / guinea pig! And all the products used are available now from Precious About Makeup. I hope you enjoyed my post! I’d love to hear what you think? Introducing Versace Eros Pour Femme EDP + Giveaway!